Geologically speaking, dinosaurs ruled the earth for a brief period. In automotive terms, the same holds true for the traditional sport utility vehicle. But while dinosaurs will never return, SUVs are attempting a comeback. Autoblog readers all know the history of the American SUV; it started with the Suburban in 1936 when Chevrolet dropped a station wagon body over a truck chassis. Natural selection favored utilitarian characteristics, so the Suburban grew. Other forces were active in the land of Jeep. Their Wagoneer (1963) survived for decades thanks to genes that combined plushness with off-road capabilities. Another variation on the SUV was the unibody Jeep Cherokee XJ (1984), a new phylum that somehow mutated from body-on-frame parents. Environmental influencers such as cheap gas and low lease rates caused an SUV Cambrian Explosion throughout the 1980s and 90s. Spontaneous parallel genesis occurred at other manufacturers yielding dozens of Darwinian finch-like variations. Then disaster struck. The entire range of SUVs nearly went extinct with the meteoric impact of 2008’s financial collapse and a spike in fuel prices. 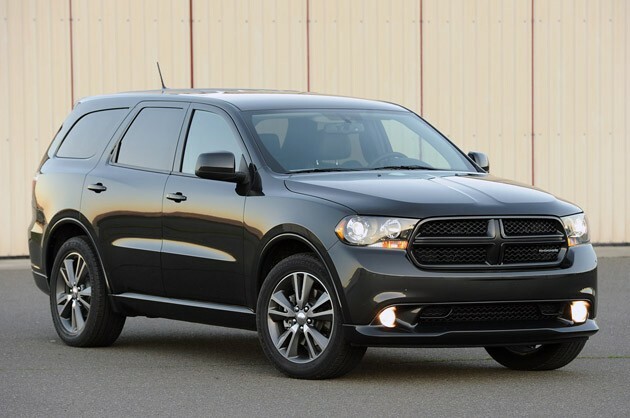 Does the 2011 Dodge Durango represent the rear-wheel drive SUV’s last gasp or its reemergence? 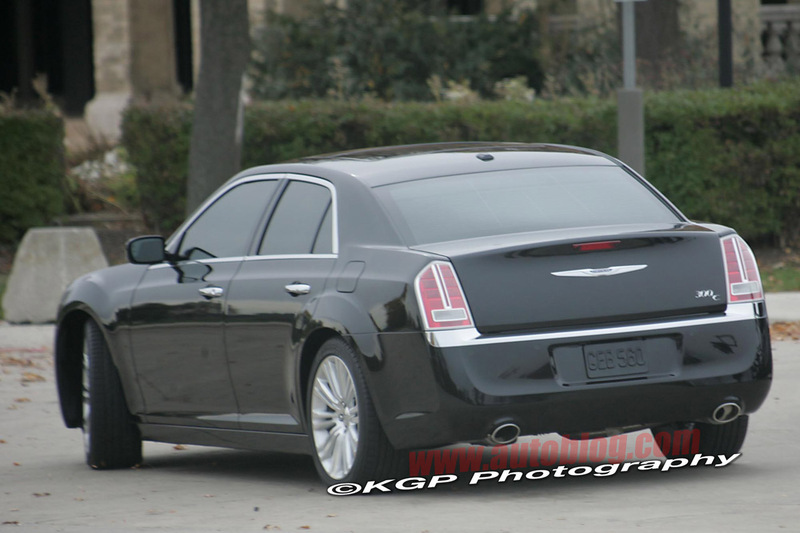 2012 Chrysler 300 spy shots! Some intrepid spy photographers have just caught the 2012 Chrysler 300C running around completely undisguised during a promotional video shoot (hence the full tint job). Now that all of the camouflage has been removed, we can clearly see the 300’s reworked front and rear fascias. Up front, Chrysler‘s new corporate grille is flanked by stylish headlamps that use LED daytime running lamps. Out back, the taillamps are spruced up with chrome accents and a large chrome strip that runs the length of the rear bumper. It sounds like a lot of chrome, but it’s quite tasteful, and looks downright sharp on a black car like this prototype. Much like its sister car, the Dodge Charger, expect the updated 300 to be powered by both the 3.6-liter Pentastar V6 and 5.7-liter Hemi V8, with all-wheel drive available on certain models. Since Chrysler’s flagship sedan is nearing the tail end of its development phase, a Los Angeles or Detroit show debut is a safe bet. 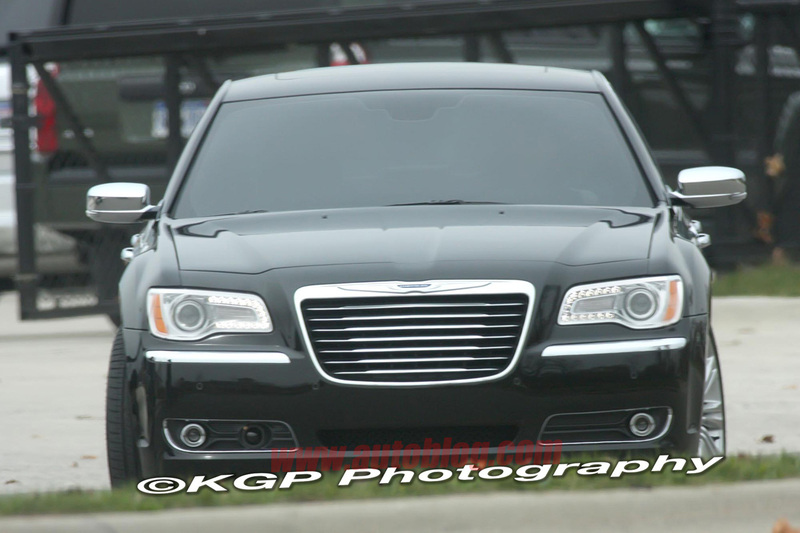 See the sleek new 300 in our gallery of spy shots, below.